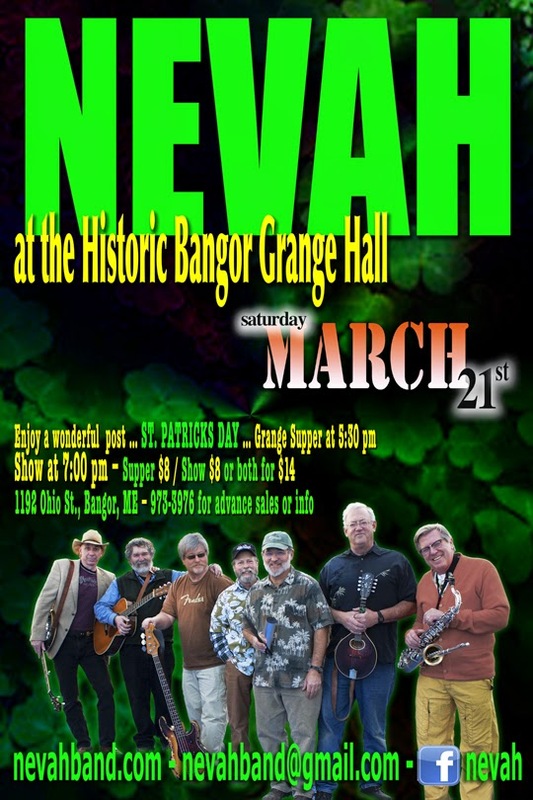 We know this is last minute - but thought, in case you wanted something to do - tomorrow - Saturday March 21st … you might want to come catch a post St. Patricks day … NEVAH concert at the Bangor Grange. The show will be a blast … lots of fun and surprises too. There is a ham and corn beef supper and show combo for $14.00 or they can see just the show for $8.00. Supper starts at 5:30 and the show begins at 7:00. Hey, I would like to attend next NYC events. I attended this event which you have mentioned and it was a blast. People were flattered on their performances, but I don’t have any video so Could you please send me some images as well as video of this event?